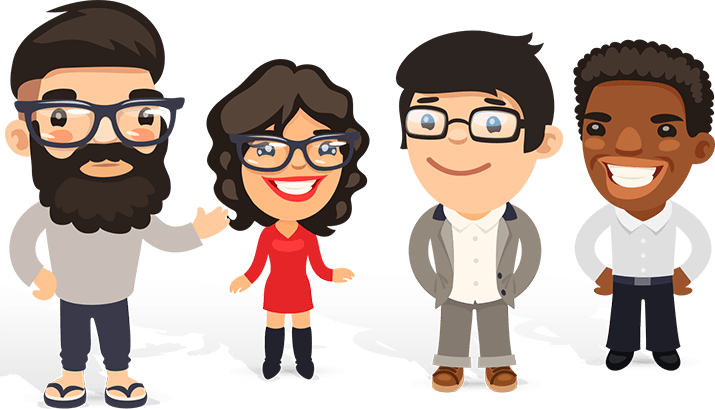 Enter the age of smart backpacks – we try out the Top 5 Best Sellers of April, 2019! 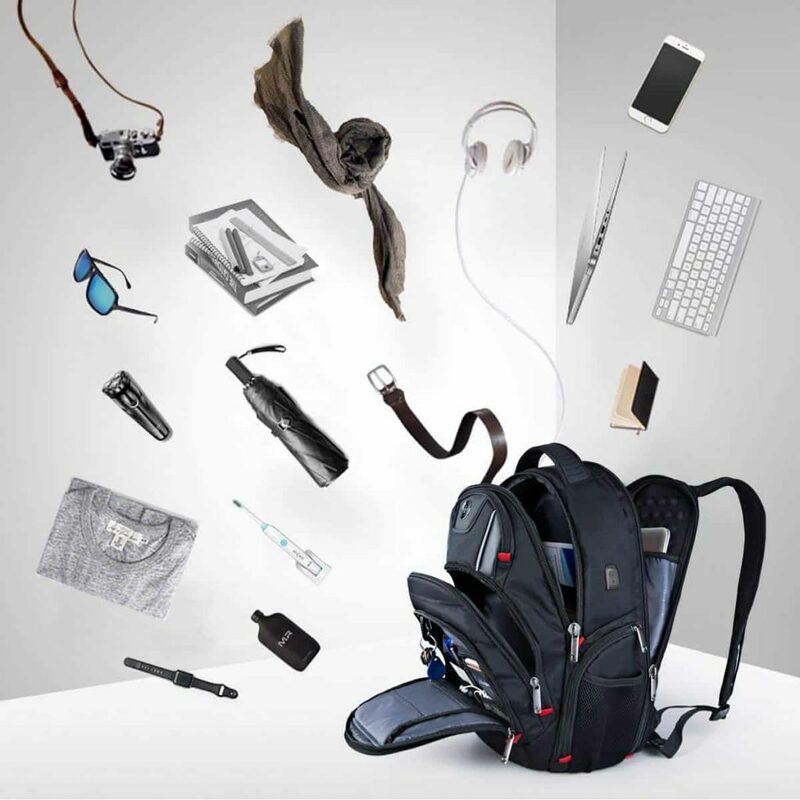 A backpack that charges your devices, plays your favorite music, and can make you look fashion-forward in the process? After trying a charging backpack, you’ll only wish you’d got one sooner. These modern accessories now look ultra stylish and pack all the essential features you need in your day to day. We think it’s pure genius. Our immediate observations on this smart bag is how well made it is and how hard wearing it feels. 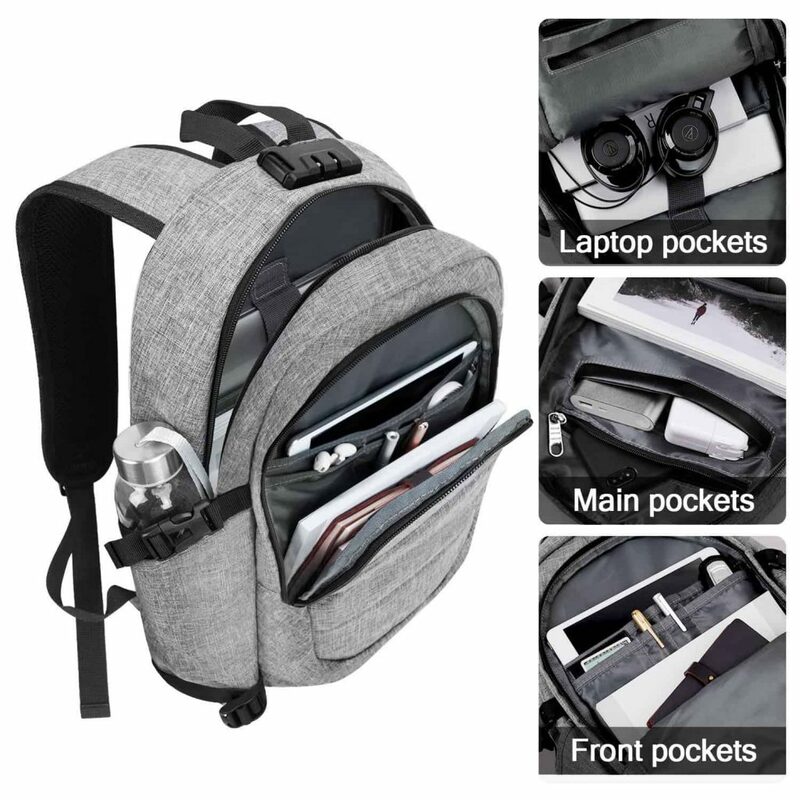 We love the clean grey color, minimalist style and the fact it has a huge number of handy pockets. 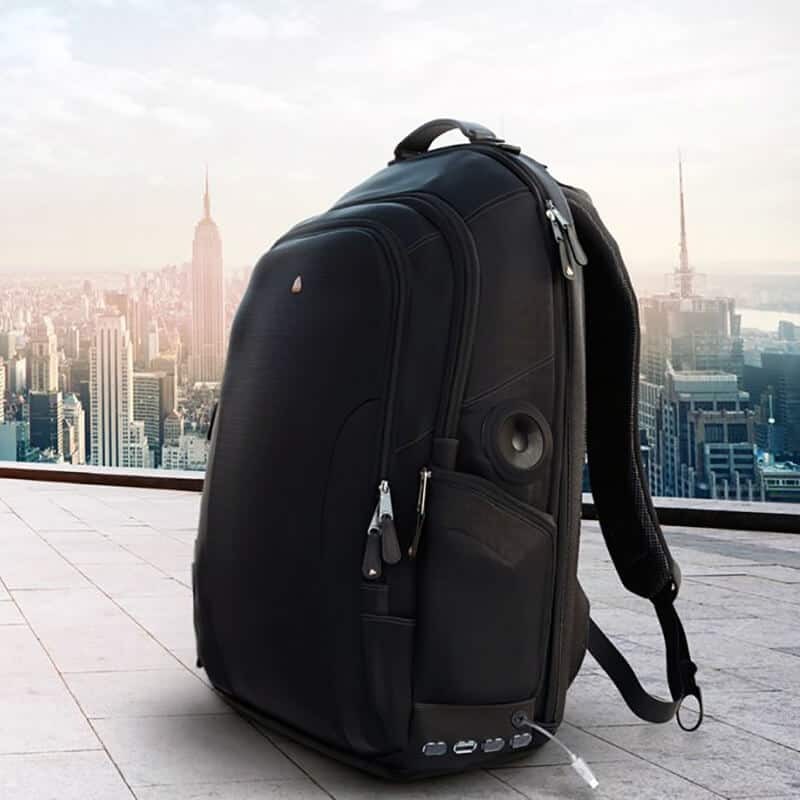 The designer of this backpack has thought of everything – if you need to carry pens, a water bottle, your passport, wallet, or school books, along with your laptop, there’s a pocket just waiting for it. 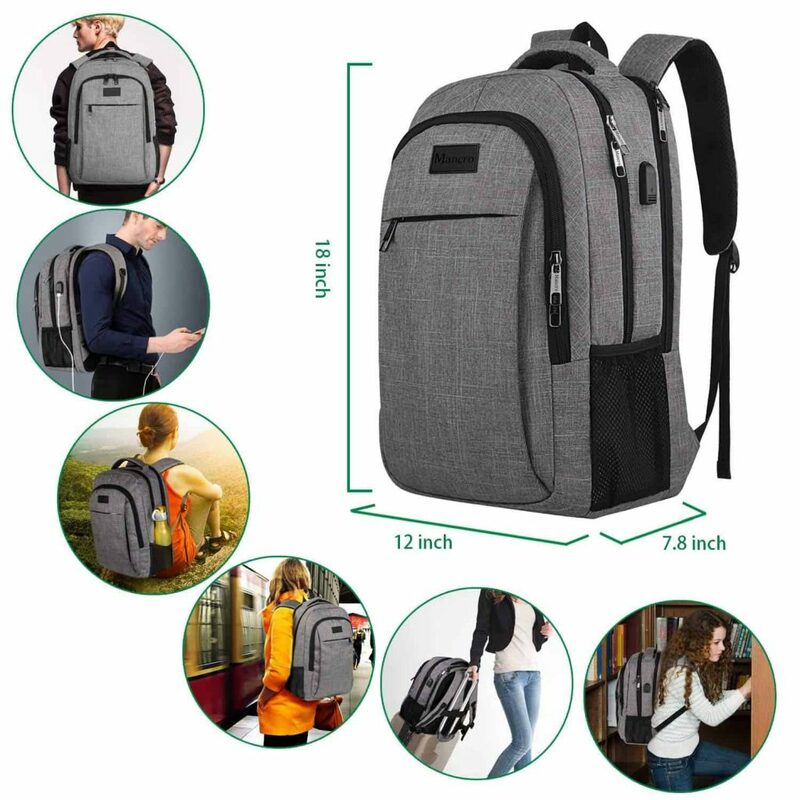 If you’re not very tall, this backpack is easy to adjust and will still sit comfortably on your body without causing aches and pains. 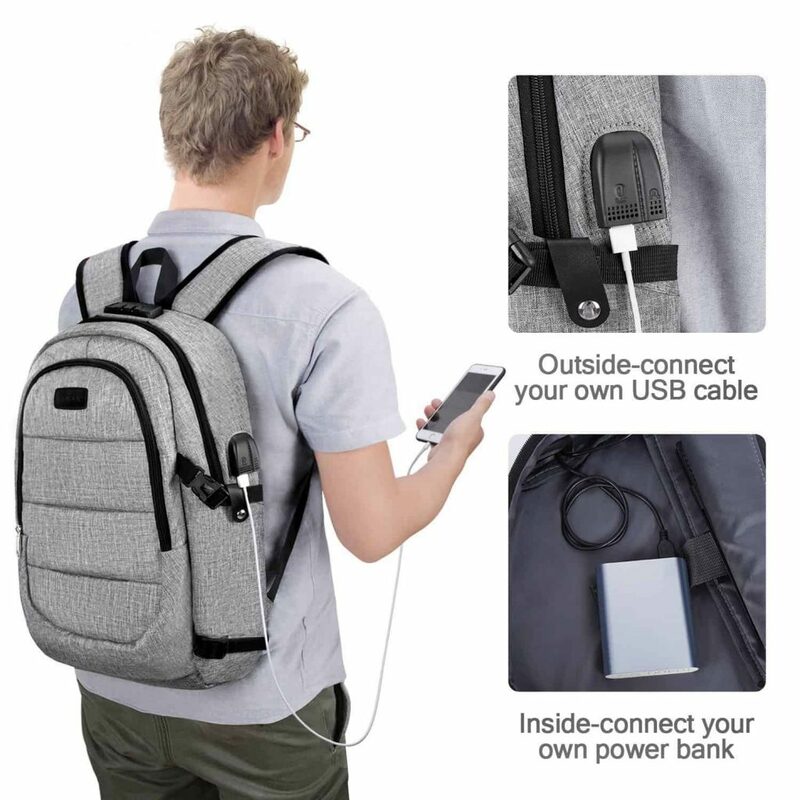 Although it supports portable charging, this backpack doesn’t come with its own charger, so this might be an extra addition you have to figure in. 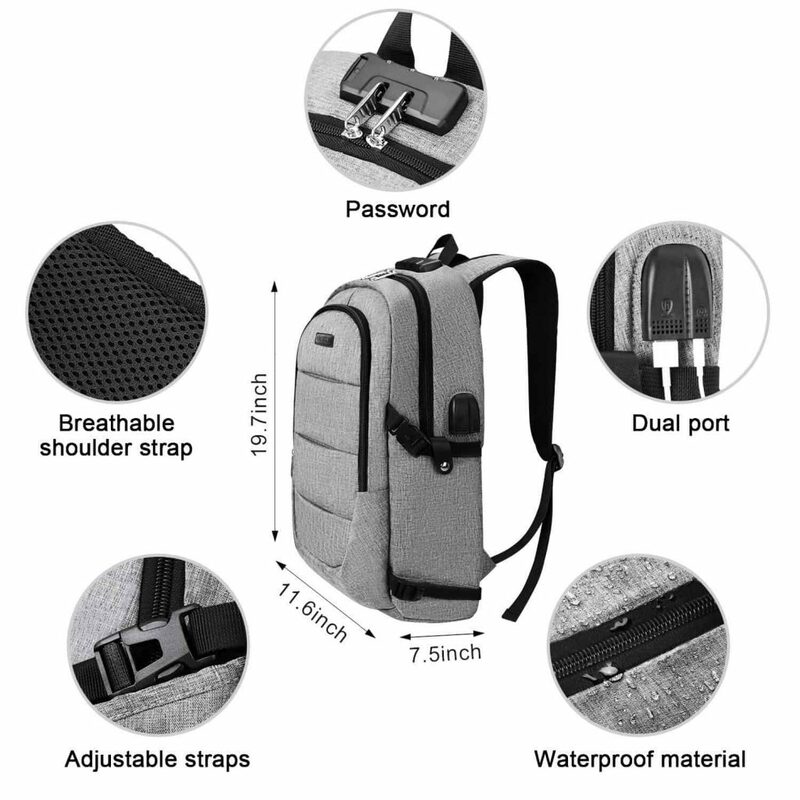 This is an exceptional, high quality smart backpack. The variety of pockets was brilliant, and it was comfortable to wear for long periods of time. Highly recommended. 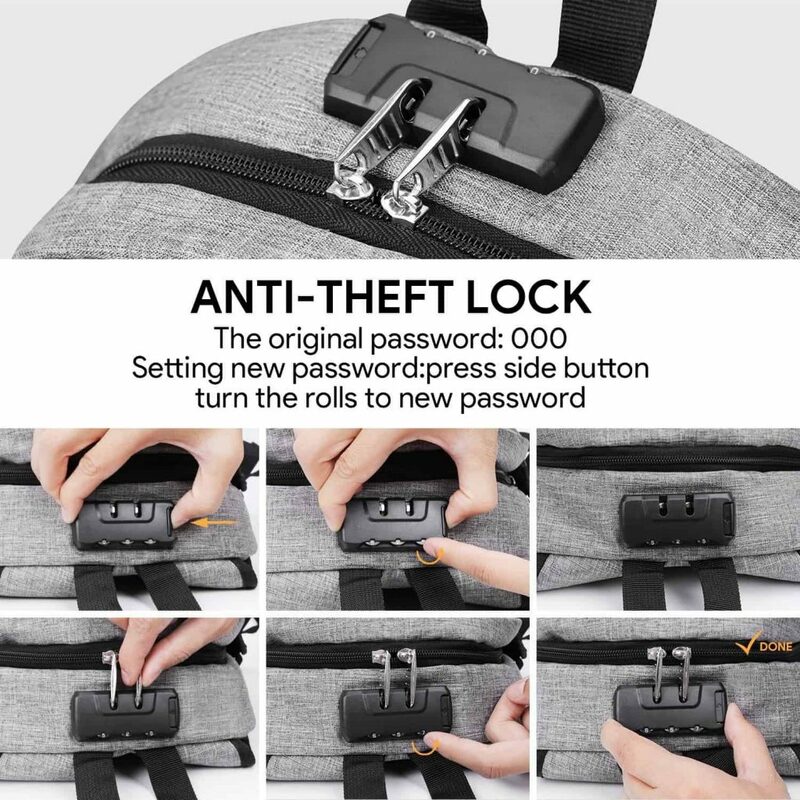 We love the design of this – it looks classy, neat and hard wearing, and with the included combination lock, very secure. On first examination, you’d never guess that it’s packed to the rim with technical prowess. This is a really smart “smart” backpack (if you see what we mean). It’s very comfortable, has pockets for everything, and has plenty of room. The design is quite simple, which works very well with this classic, water repellent fabric. 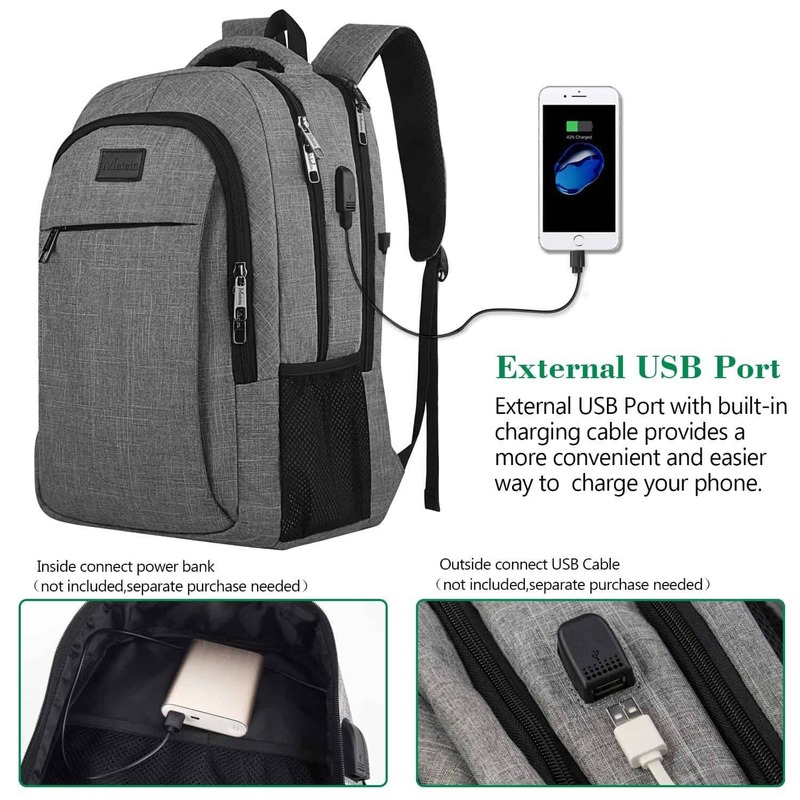 Overall we really like this bag, the fact that it charges our phones is an added bonus! The shoulder straps could do with being a little shorter to make carrying easier; they are quite hard to adjust to the right position for someone shorter or younger kids. 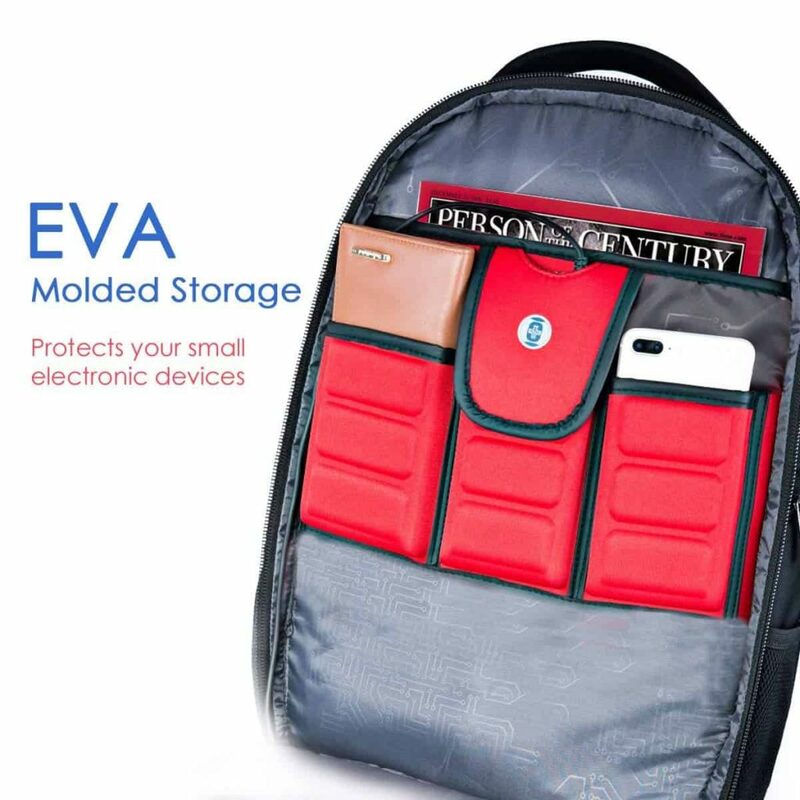 A really good, secure backpack, perfect for school, college and work. Special props to the thoughtful design. 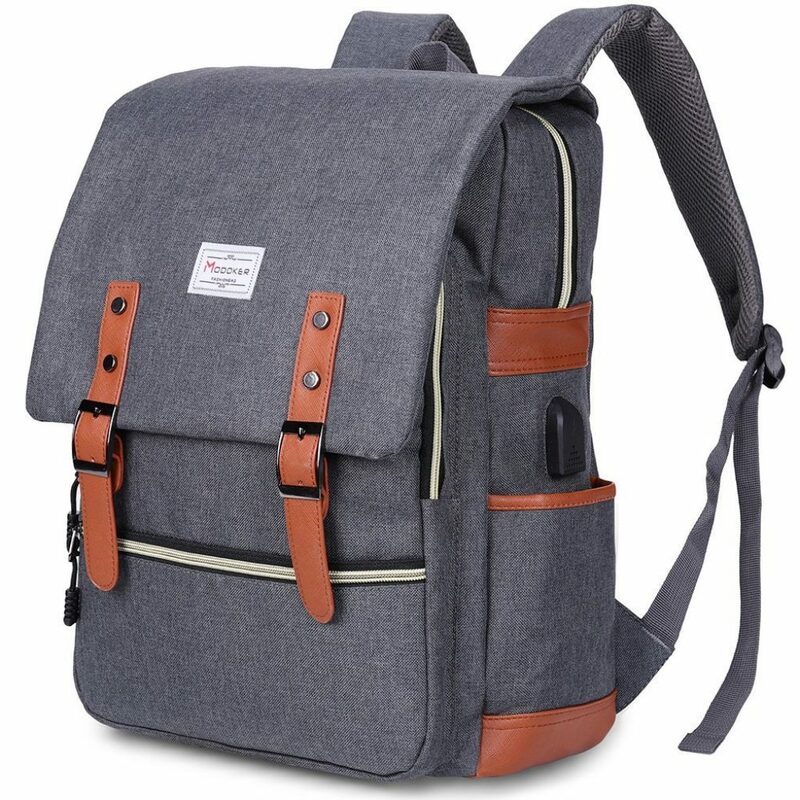 This smart looking, satchel design backpack is well made from durable fabric, has lots of useful features and is plenty big enough for laptops, books and other things you may want to pop in. We love the super chic retro look of this smart backpack. It’s scratch, water and scuff resistant – so you can relax knowing it’ll look great whatever. Even with a heavy load, and believe us, this has plenty of internal room, and useful pockets, it’s comfortable across the shoulders, thanks to the well placed padding. The USB port is conveniently accessible for easy, efficient charging while you walk along. Although the side pockets are a good size, being elasticated would make them even more useful. But hey, we can easily live with this. 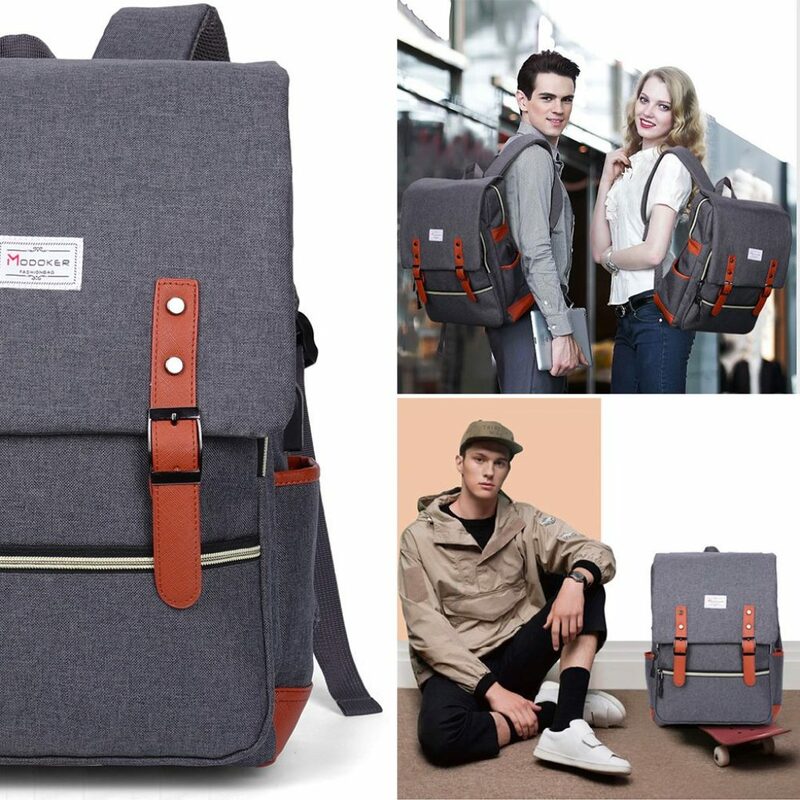 This is a really useful, good looking, well designed backpack. Stylish, with plenty of pockets and internal compartments, it’s easy to recommend this. 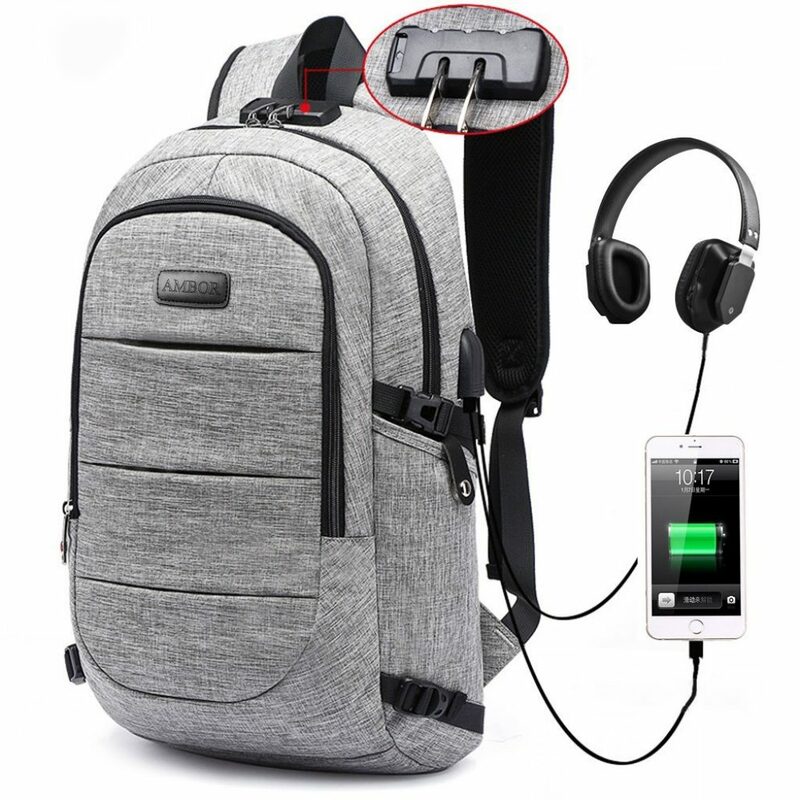 ◆ SPECIAL FUNCTIONS: With External USB charging port & set-in charging cable, Modoker Backpack offer a convenient way for you to charge your electronic device when walking. 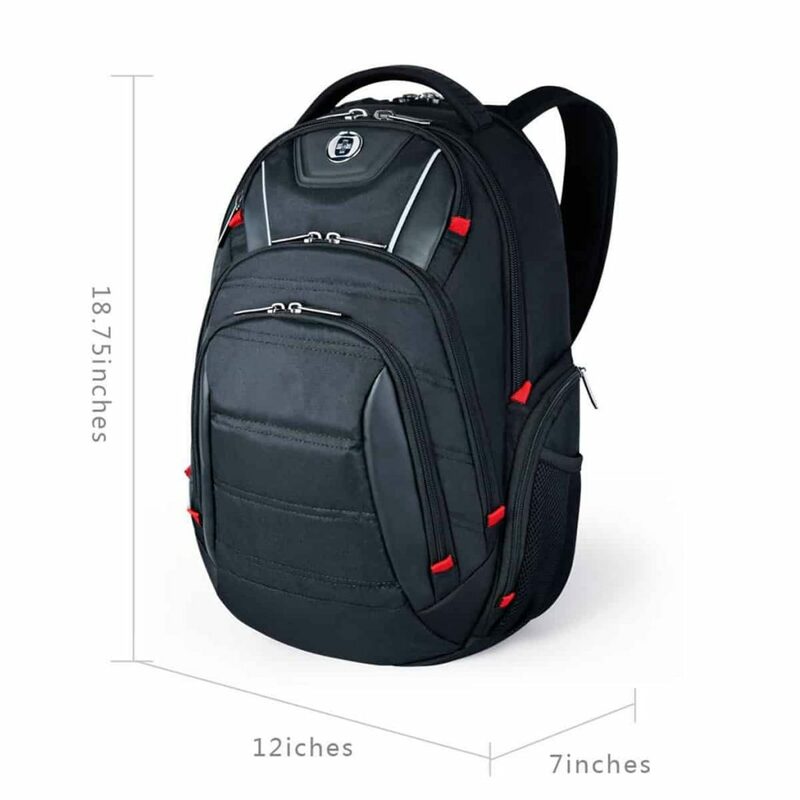 This smart and streamlined backpack is perfect for any business. The SwissDigital quickly became a firm favorite. 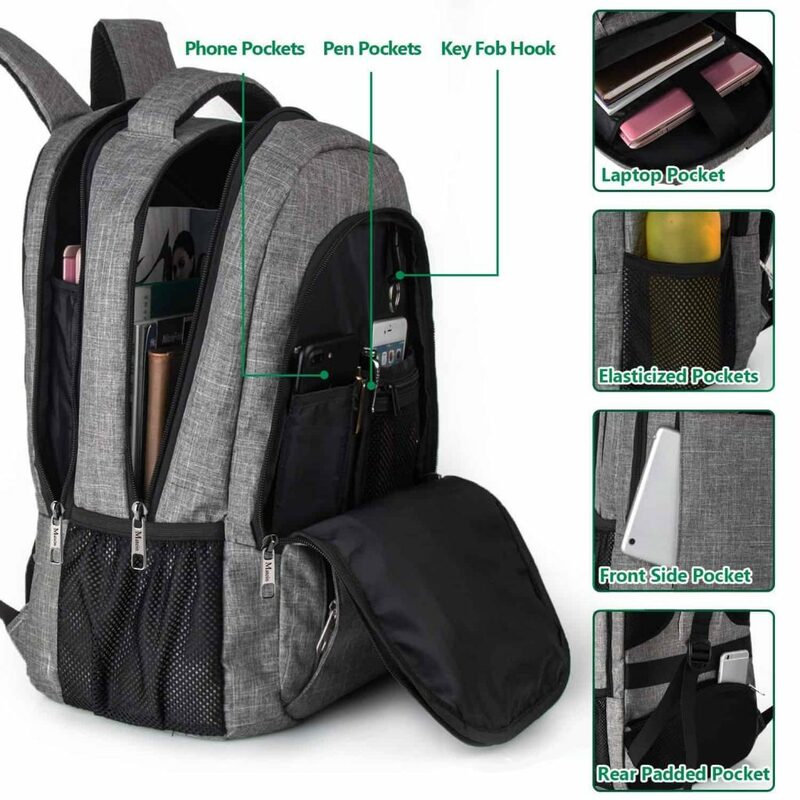 This smart backpack is full of compartments so you can easily organize all of your gadgets, notes, books and other accessories. It’s fitted with charging ports (USB) for keeping your smartphone and tablet full of juice on the go. Other perks include smart technology that protects against identity theft and a 3D ventilation system for comfort. This is truly a backpack fit for our modern lives. 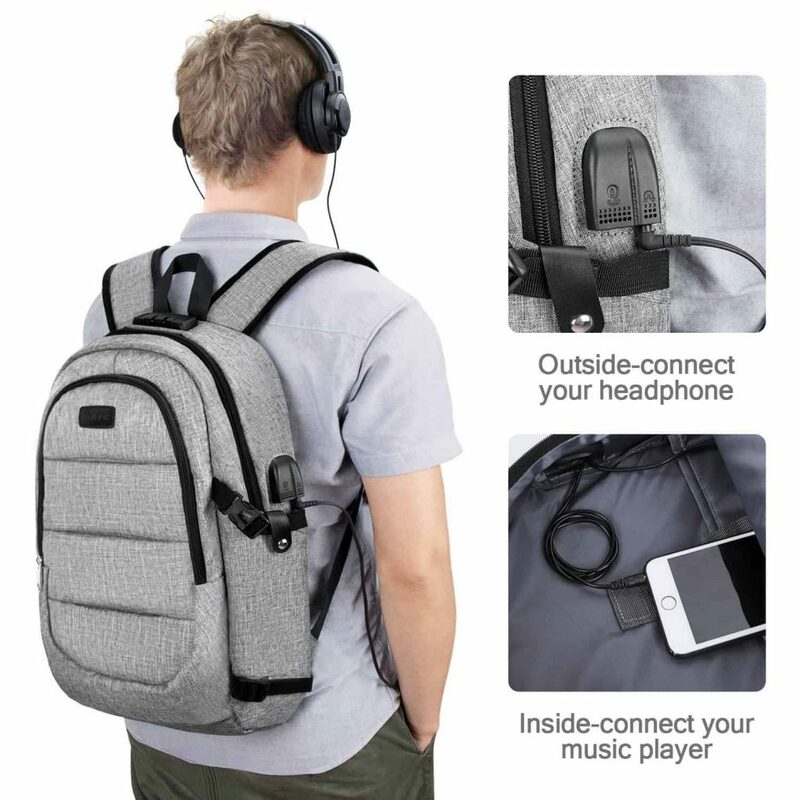 We only wish that this smart backpack came in more colors as the design a little on the generic side, but that’s just because we liked it that much. 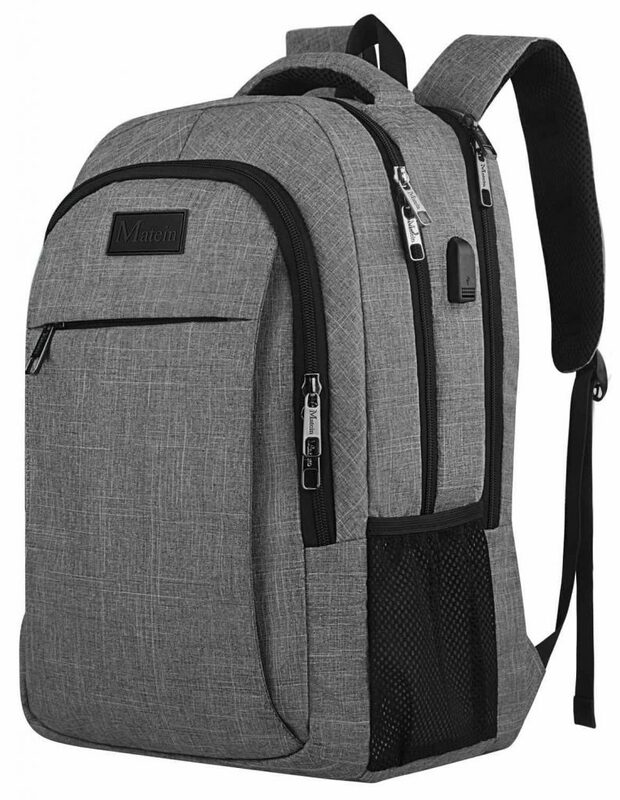 A stylish, business backpack that would suit a corporate environment just as well as a smart college student. It's spacious, well thought out and comes with anti-theft and air flow properties. We would definitely buy again. LARGE CAPACITY AND ORGANIZATIONAL POCKETS: We have dedicated organized compartments in the front pocket with key hook. 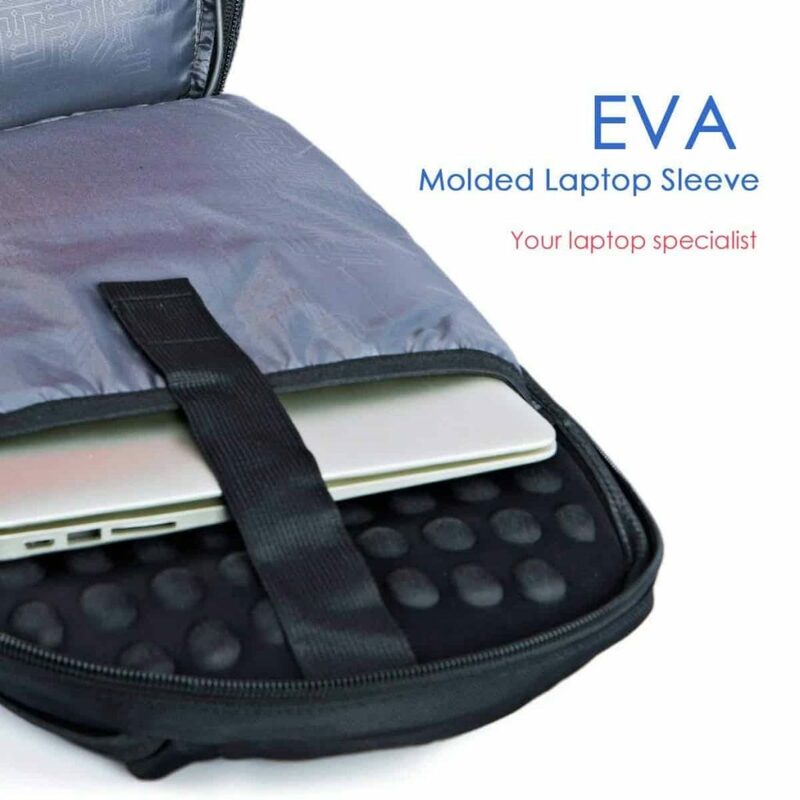 EVA molded storge for phone/portable battery(dimension under 3.5"*2.4"0.45"); EVA padded laptop compartment holds laptops up to 15.6 inches. 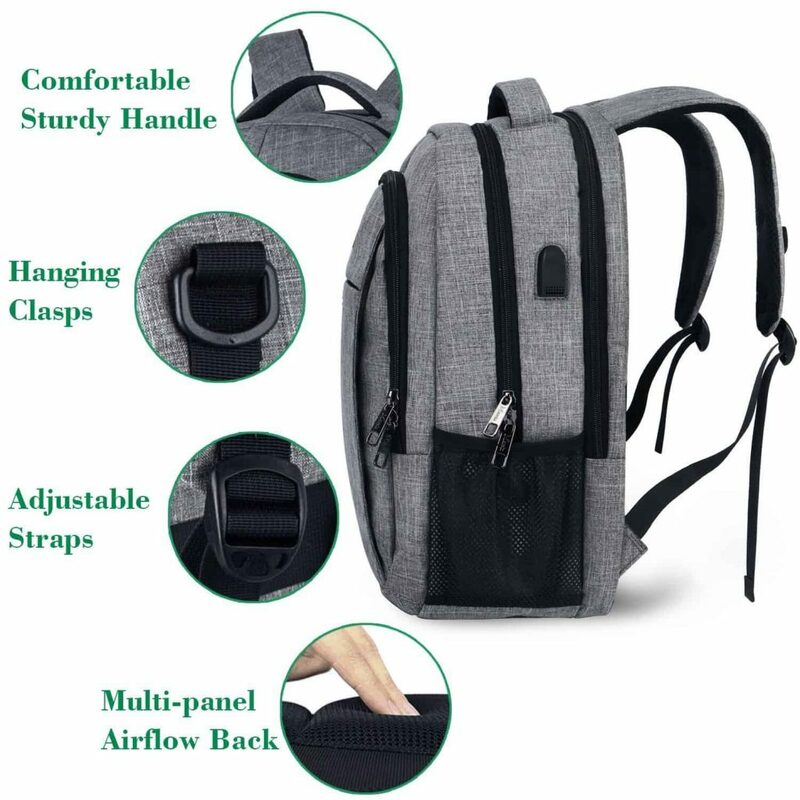 Dimensions:13×7×18.5 inches with durable eco-friendly fabric, ergonomic "S" curve padded shoulder straps, also air flow back design. 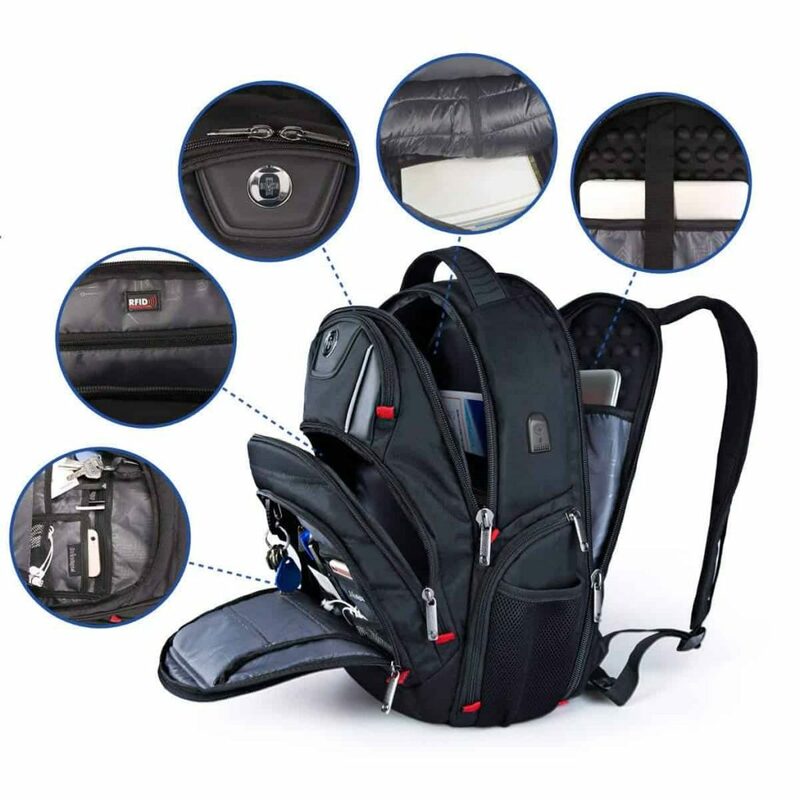 The smart backpack from Korin Design is one of the most interesting looking bags we tested. We love the futuristic look, and it garnered a lot of admirers. One of the biggest selling points of the Korin is that it looks ultra cool. But to say that this smart backpack can’t live up to its aesthetics would be the understatement of the century. 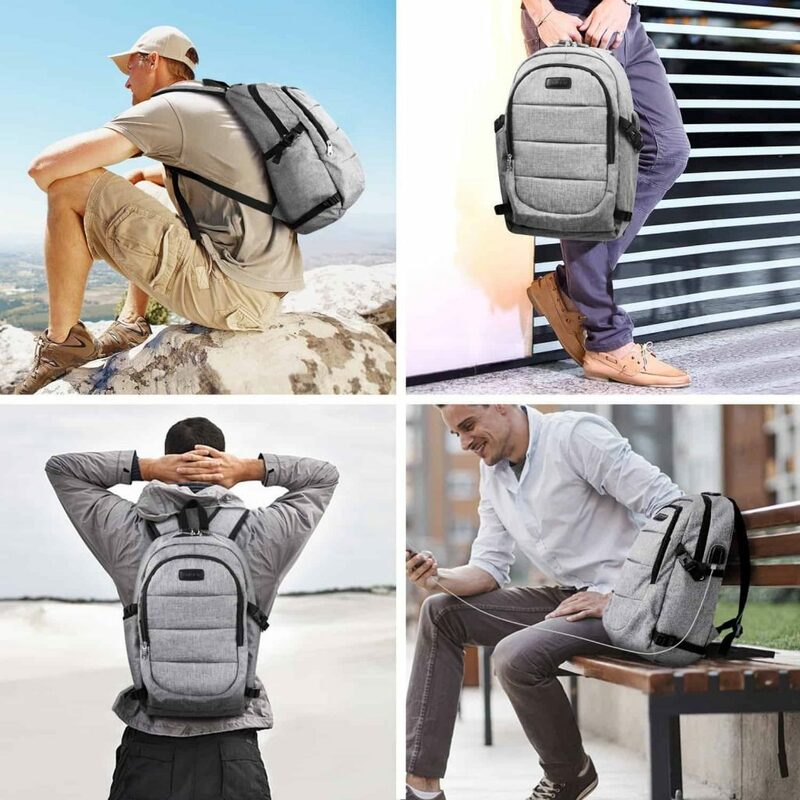 First off, it uses a ClickPack ergonomic design that makes this backpack fit you perfectly with minimum adjustment required. 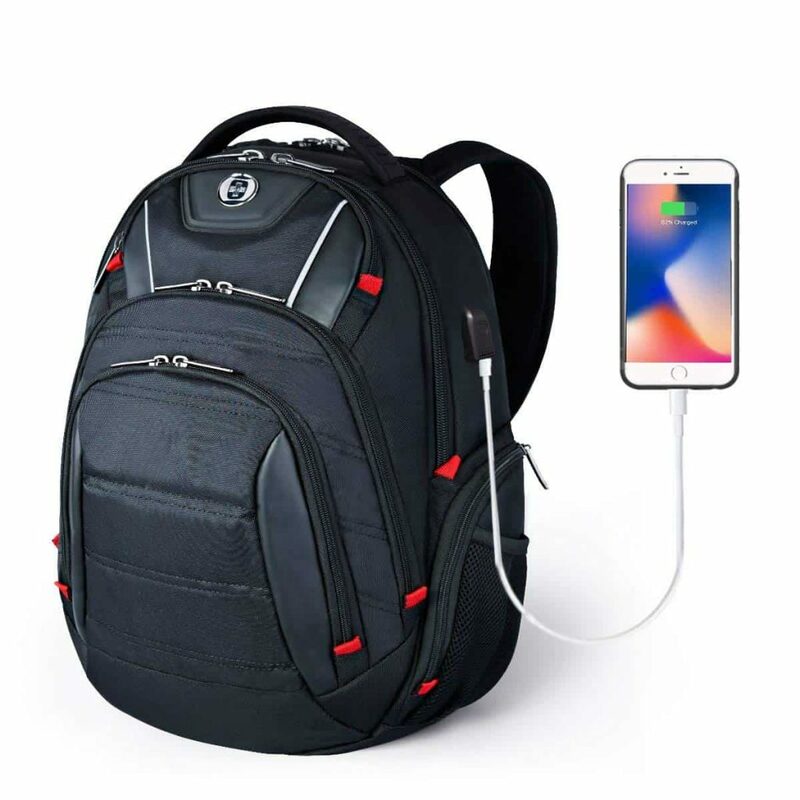 It has a weight reduction system, which means that no matter how heavy your backpack is, the weight will be evenly distributed across your back. 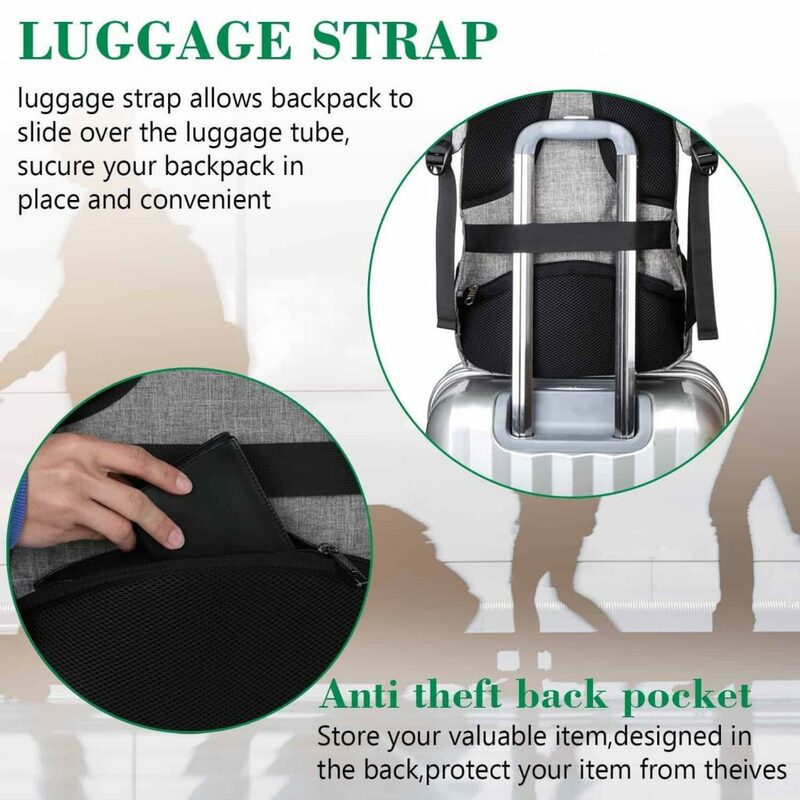 There is a triple anti-theft mechanism, right down to the slash-resistant fabric. Storage-wise you get 5 x large compartments to organize your belongings. This ticks our boxes. The storage in this backpack is good, but if you’re looking for lots of compartments, you may prefer one of our other recommendations above. This backpack is on the luxury end of the market, but it's well worth it. It looks and feels high quality, and you'll never have to worry about your valuables being unsafe. What else is trending at The Gadget Nerds?